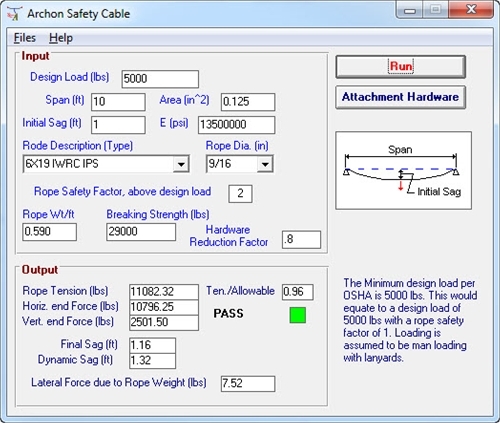 (US units only) This program will assist the Engineer or Contractor in the design, analysis and installation of a horizontal safety cable. 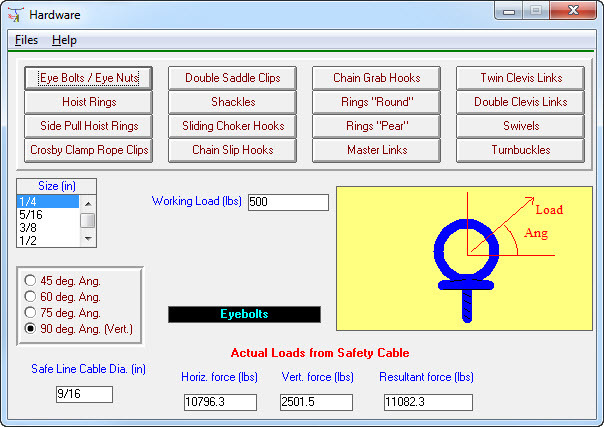 The program includes databases for steel cable and connection hardware. The program will provide cable tension, sag, end reactions and do a check to see if your installation is adequate for the loads.